Offering a ceramic oil burner, simply put a tea candle under and put aroma oil above and light the candle to enjoy soothing aroma iin your living space. We have carved a niche for itself in the domestic and international markets as a manufacturer and supplier of ceramic oil burners. Riding on vast volumes of expertise in this arena, we are occupied in offering Ceramic Oil Resin Burner. 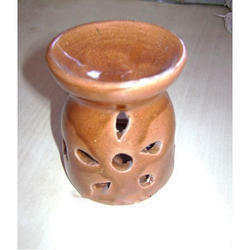 We are the leading manufacturere and Wholesale supplier of "Oil Burner - Katori Square". This 7' size ceramic electric diffuser or oil burner is made very beautifully and its available here in my factory for you with any quantity. 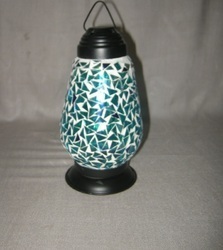 An Electric Aroma Oil Diffuser / Burner. No Candles required, Just put some Drops of Aroma Oil on the top with some water (use warm water to get fast results), Bulb's Heat warms up the water and gives the desired Fragrance. Contents:Ceramic Oil Burner-1, Aroma Oil Bottles-1, Perfumed Floral Tea-light Candles-2 Directions: Put a small amount of fragrance oil in the top of the burner. Add a Plenty of water, to just under the brim light the tea light candle in the lower unit. Extinguish the flame when the desired level of fragrance has been achieved. We are a well-known company in offering New Ceramic Aroma Oil Burner, which is widely renowned for its durability and high quality.